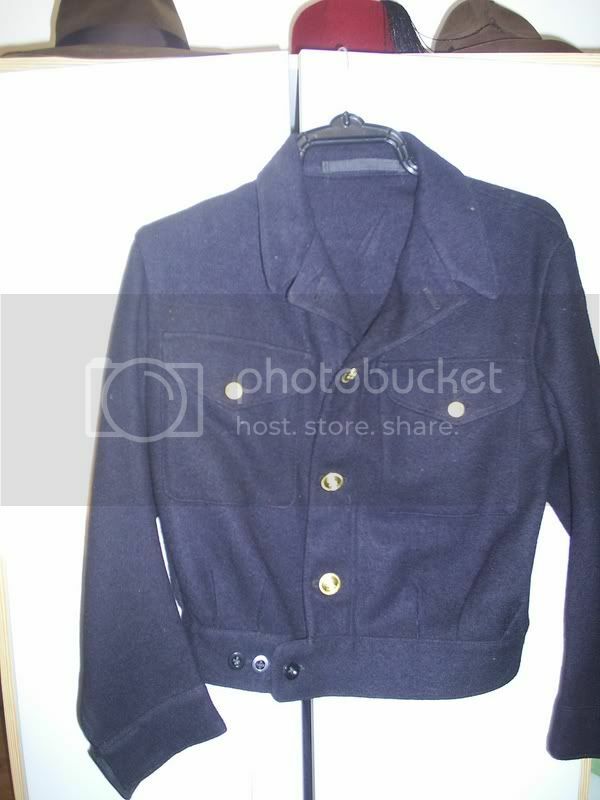 Im putting together a "Stringbag" pilots uniform. Now flying kit is the same with the optional yellow hood on the irvin. Now my main question is where can i get the Naval BD from and where would the rank and pilots wings go??? 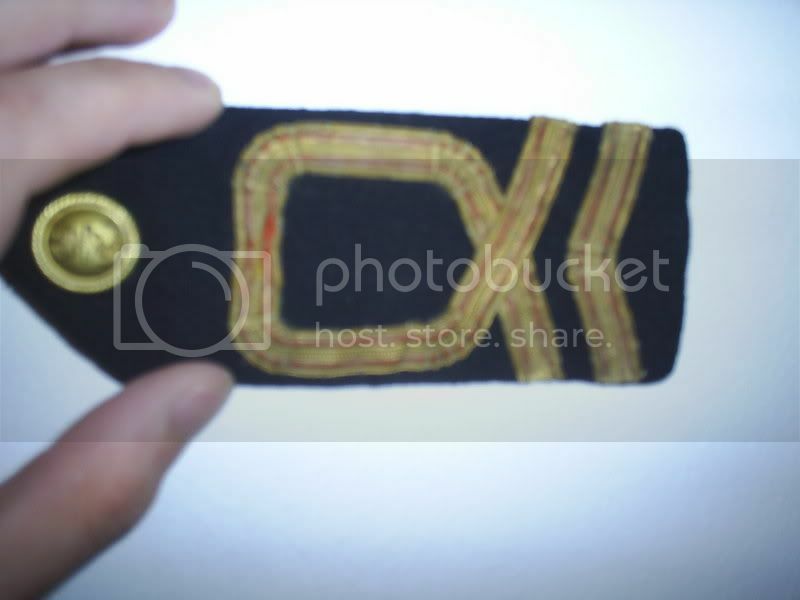 Rank: Sub-Lt to Lt-Commander I'd recommend (hat braid); if you are under 20 then Midshipman only. For the period of the war you are likely to portray (if you are wearing BD, that is), then you'd need RNVR soft shoulder boards, with an "A" in the curl. These are a right bloody pain to find! Even without the "A". The tropical shoulder boards are wrong for 5a's, as they shouldn't be curved at the side. 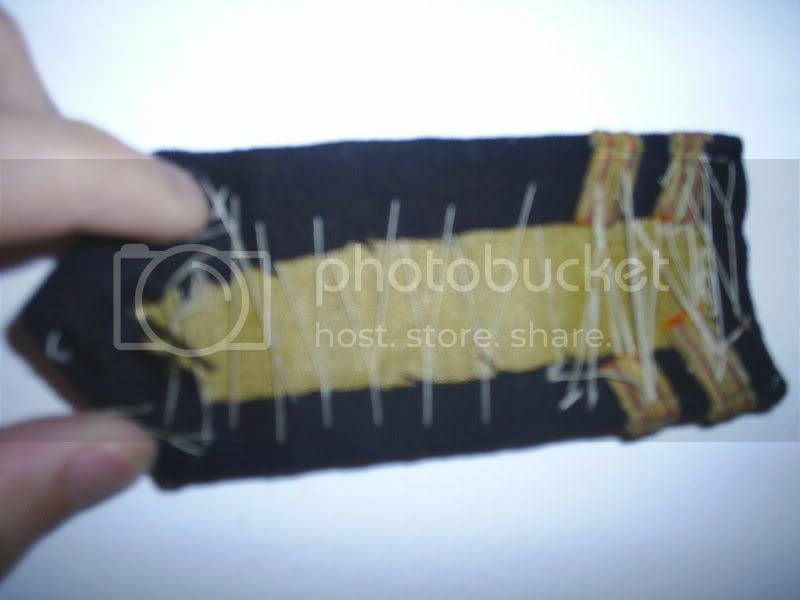 You might be able to make your own, however - if you can find RNVR lace! 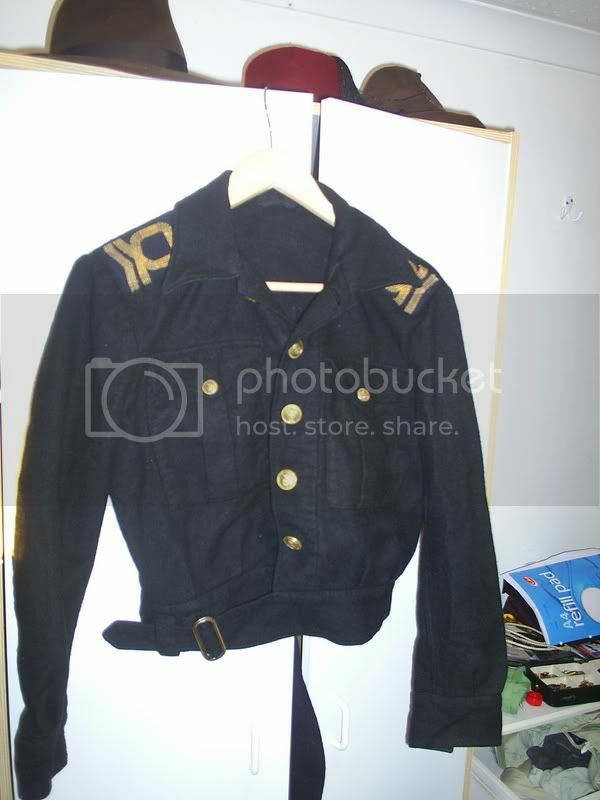 I have one that is not on a uniform - it's literally just stiff cardboard shaped like a shoulder board and covered in cloth, with the rank on it - will take photo's when I'm back at uni. The "A" - you could use a gold rub on transfer, I suppose; should do the trick. BRITISH OFFICER: Hey man, what's shakin'. What's the story with this valley? This a good place to live, you think? NATIVE: It is very fertile. My family has lived here for many generations. BRITISH OFFICER: Awesome. I'll put my mansion right here sorta where you're standing. Hey, what's with the triangle things? NATIVE: Those are the sacred pyramids where my ancestors are buried. BRITISH OFFICER: Cool. There any kinda zombie curse or anything we should know about? I mean, I want to pillage'em, but I don't want to cause no problems. NATIVE: Our people lie merely asleep in their graves, waiting to shriek forth and bring agonising death to any who would dare disturb their peace. NATIVE: ...in truth the curse is probably apocryphal. BRITISH OFFICER: Wicked. Carter, bust out the Gatling guns! I want to be revered as a God by teatime. General rule is take the RAF pattern the that's current for the period, and go for the mark or model that preceded it for Fleet Air Arm. It is also worth noting that the Proper name of the Fleet Air Arm in WWII was the Air Branch of the Royal Navy - Fleet Air Arm was the name for the Naval Wing of the RAF before control was handed over to the RN in 1938, and was re-instated in around 1952. The branch was distiguished by the letter (A) in brackets after the Rank, eg. Lieutenant (A) Shaun Gunbunny, RNVR. However, the term Fleet Air Arm was still used unofficially during the war. Also remember that Lieutenant was pronounced Letenent, not leftenent as in the army and RAF. RNVR Lace is easy to find as bauns will make it up. It's also the same as Sea Cadet officer's lace. Don't forget your Gosport tubes!!!! Gents, the BBC programme "Spitfire Ace" (2006 ?) briefly shows a photo of an FAA flyer at the nose of his hurricane wearing his naval officer's cap, roll necked jumper and irvin jacket. It shows only his upper body, but I would presume service dress trousers and early pattern flying boots or just black shoes would have bee worn. You could get away with that on the basis of that photo, perhaps with a Mae West, and not need to worry too much about the BD, rank lace etc. Hope that helps. Steve, do you have those photos to hand still as they've expired. Yes, a fantastic resource and my first port of call.